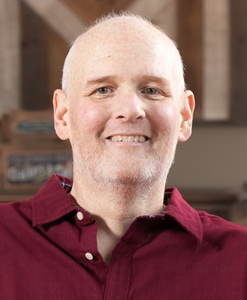 Michael Curtis Day, age 54, of Saint Charles, Missouri passed away on Thursday, March 21st, 2019. He was born in Alton, Illinois on October 31st, 1964 to Jack Day and Yvonne Buerk (nee Edelen). Who was then later married to Thomas Buerk. Michael is survived by his Wife, Stacie Day, Sons, Cody Michael (Jessie) Day, Coleton Wayne Day, and Michael Curtis Day Jr., Daughter, Meagan Delane Day, Mother, Yvonne Delane Buerk. Michael was a loving husband and father that dedicated his life to providing for and giving guidance to his family. He loved watching his children play, learn, work and laugh hard. He taught them the love of music and how to love and lean on each other. Michael was a Telecommunications Installer at Nokia for 29 years. He was preceded in death by his Father, Jack W Day and Step-Father, Thomas Buerk. Funeral Ceremony will be held at 4:00 pm Saturday, March 30th, 2019 at Newcomer Cremations, Funerals & Receptions, 837 Mid Rivers Mall Drive, St. Peters, Missouri 63376. To share a memory of Michael or leave a special message for her family, please click the Share Memories button above. Add your memories to the guest book of Michael Day. Mike has always been a great coworker through out the years. No matter what challenges, hurdles or downright nonsense the company threw at us, we could always count on Mike’s positive approach to overcome it all. Mine and Mikes careers have paralleled each other’s and I will miss his humor, movie references, and stories about his family who he adored! I was fortunate to work nightly with Mike for the last year and a half and I will look back at that time fondly. Mike was a good man and a great friend. I’ll miss him! My prayers and thoughts are with Bonnie, Stacey and children at this difficult time. I remember a red headed little boy with an infectious laugh, we enjoyed his visits with us on Kentucky lake. He kept that infectious laugh and as I knew him he had a big heart full of love for his family. My father was the greatest and most selfless man I’ve ever known. He always emphasized the importance of family. We love you dad. You will never be forgotten.